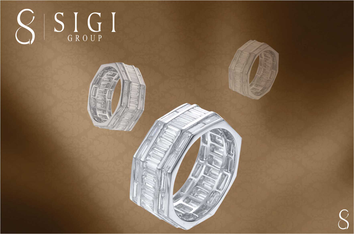 SIGI GROUP by Lume Creations Co. Ltd.
Sigi Group – We are manufacturer of exquisite Fine Diamond & Precious Stone Jewelry. We pride our selves on our excellent make and sophisticated designs, specializing in handset Diamond Jewelry set with or without precious stones. Each piece of jewelry produced sports a perfect consistent finish.